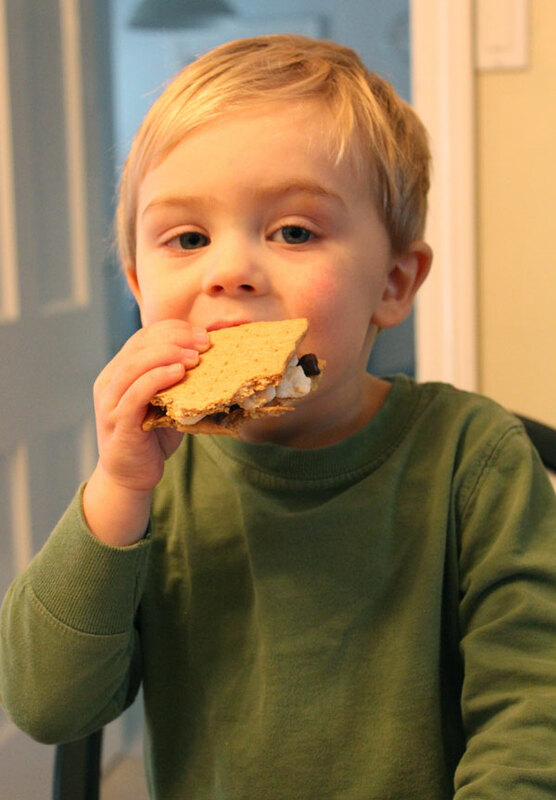 according to oscar's instructions, this is how you make a s'more. and since we watched that video right before lunch, s'mores for dessert were on the menu. perhaps not surprisingly, this activity was quite a bit more messy than painting. thanks for the awesome instructions, oscar!